Jean-Pierre Sommadossi, Ph.D. BioExec Institute » Jean-Pierre Sommadossi, Ph.D.
You are here: Home / Board of Directors / Jean-Pierre Sommadossi, Ph.D.
Dr. Jean-Pierre Sommadossi is the Founder, Chairman and CEO of Atea Pharmaceuticals. Jean-Pierre has over 30 years of scientific, operational, strategic and management experience in the biotech industry. Previously Jean-Pierre was the Principal Founder of Idenix Pharmaceuticals, Inc. (NASDAQ: IDIX) and a Co-Founder of Pharmasset, Inc. (NASDAQ: VRUS). Both of these companies were acquired; Idenix by Merck for $3.85 billion in 2014 and Pharmasset by Gilead for $11 billion in 2012. Jean-Pierre held a number of key executive positions at Idenix, including Chairman of the Board of Directors, Executive President and Chief Scientific Officer from 1998 to 2000, and then as Chairman and Chief Executive Officer from 2000 to 2010. 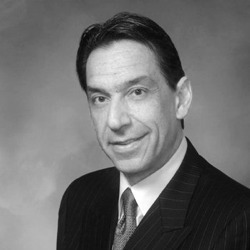 He is a member of the Harvard Medical School Therapeutics Advisory Council and the Harvard Medical School Discovery Council, Chairman of the Board, Panchrest, Inc., Chairman of the Board, Kezar Life Sciences, Inc., Vice-Chairman, Cornerstone Pharmaceuticals, a Member of the Board of The BioExec Institute and a Senior Advisor to PureTech Ventures, as well. Prior to his entrepreneurial career, Jean-Pierre was on the faculty of the University of Alabama at Birmingham School of Medicine since March 1985. He served as a Professor of Pharmacology, Toxicology and Clinical Pharmacology from June 1992 to November 2000. He has authored over 180 peer-reviewed publications and holds more than 50 US patents related to the treatment of cancer and infectious diseases. Jean-Pierre holds a Pharm.D. and Ph.D. in Pharmacology from the University of Marseilles, France and was a post doctoral Fogarty fellow at the National Cancer Institute and the Medical College of Virginia, and is a recipient of a Faculty Award from The American Cancer Society. "....forging direct alliances among government leaders, senior executives and the industry’s most innovative and promising start-ups"
"To encourage the building and strengthening of important working relationships among industry leaders in a global context and to promote continued investment and growth in the life sciences"
"...a series of intimate and 'invitation-only' meetings that provide a unique blend of business and social activities"
The members of the advisory board of The BioExec Institute are top executives, key influencers, and other visionaries in the Life Sciences industry, many of whom shape the future of biotechnology. The members of the board of The BioExec Institute are top executives, key influencers, and other visionaries in the Life Sciences industry, many of whom shape the future of biotechnology.